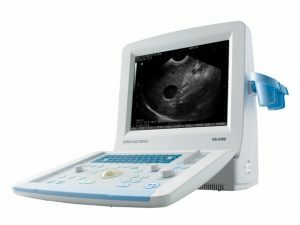 The M6 ultrasound system addresses the changing needs of today’s veterinary ultrasound environment with an ideal balance of performance, versatility and design. 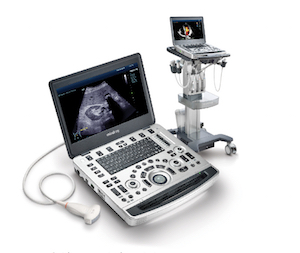 Living Technology is a constantly evolving software-based approach to providing our customers with easily upgradeable enhancements made possible by both of our core imaging technologies: ZONE Sonography and mQuadro. 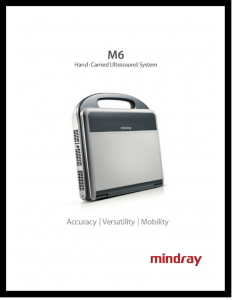 These upgrades secure product investment protection by ensuring that Mindray ultrasound systems remain at the cutting-edge of imaging performance excellence throughout their entire life cycle. 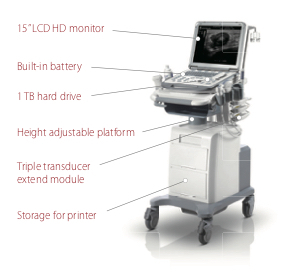 Allows for multiple receiving beams from each transmitted beam, resulting in enhanced time resolution. 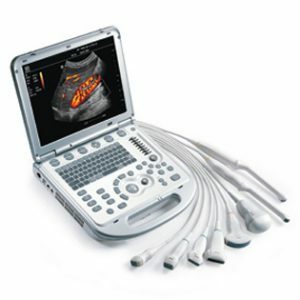 Speckle-reduction imaging technology that reduces image speckle noise. 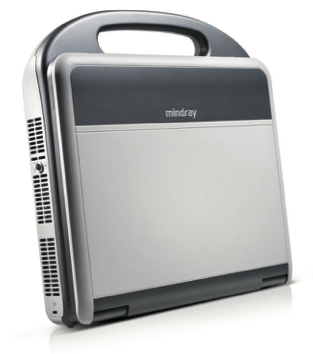 Spatial-compounding imaging technology permits use of multiple transmitting angles to form a single image, resulting in enhanced contrast resolution. 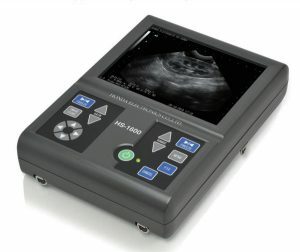 Automatically adjust gain and TGC. Automatically adjust best image parameters including color gain. 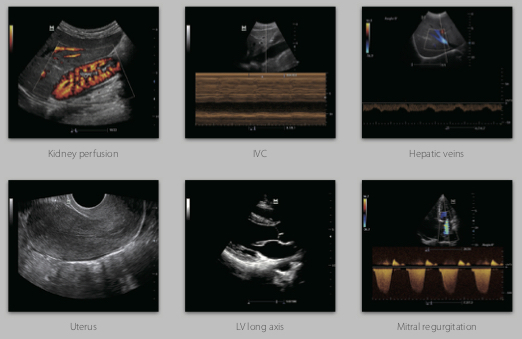 Detect optimal alignment of PW scale and PRF. 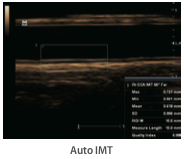 Automatically detect and calculate the thickness of carotid intima-media. 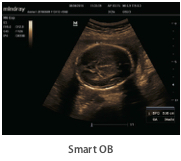 Continuously track the color flow and optimize the best color box position in real time. 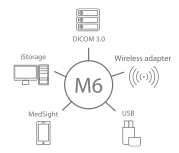 The M6 system’s lightweight and compact design makes the system ideal for storage and effortless mobility to the patient’s stall or paddock.